So rejoice, comrades, for we have the solution. Packed with devastating wit, this priceless compendium has all the finest jokes, scenes and anecdotes to see you through a long, hard political winter. 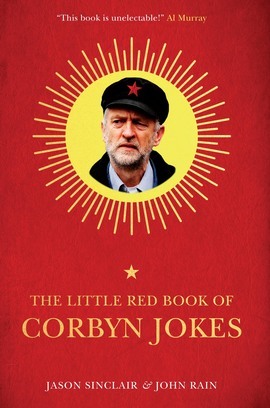 The Little Red Book of Corbyn Jokes – putting the ‘ha’ into the hard left. My wife said to me, ‘For my anniversary, I want you to get me something expensive,’ so I registered her as a supporter of the Labour Party. Why did the chicken cross the road? Neoliberalism.